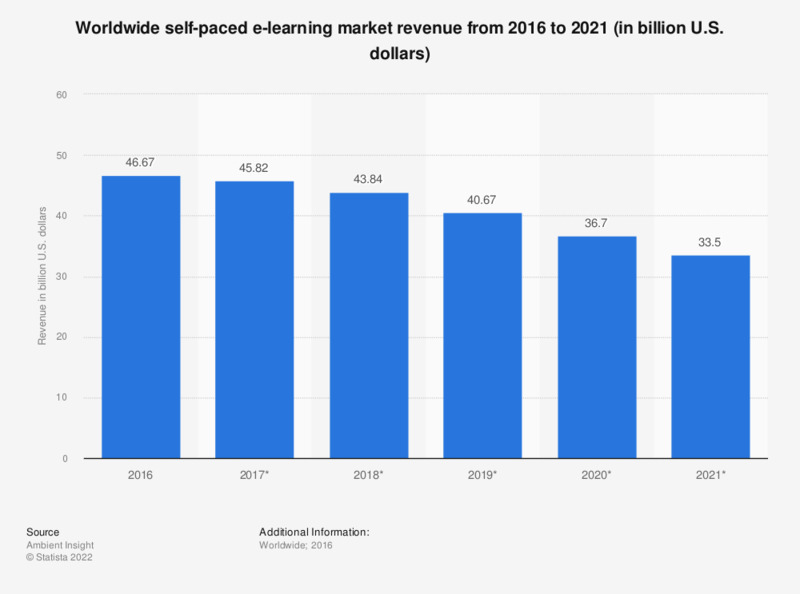 This statistic presents the worldwide self-paced e-learning market revenue from 2016 to 2021. In 2016, the global self-paced online learning market generated 46.67 billion U.S. dollars in revenues. In 2021, the figure is set to decrease to 33.5 billion U.S. dollars.